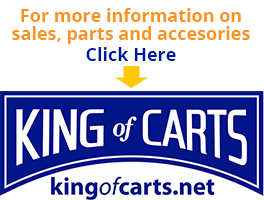 King of Carts rents Club Car golf carts along the Carolina Coast. 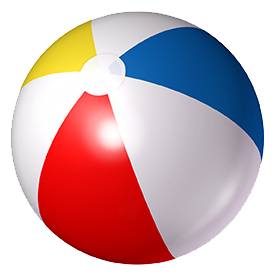 We rent to North Myrtle Beach, Surfside Beach, Garden City Beach, Cherry Grove, Murrells Inlet, Litchfield Beach, Pawleys Island and other areas along the Carolina Coast. We also provide Golf Cart sales, parts and service. We provide delivery and pickup service for most of the Carolina coastline. 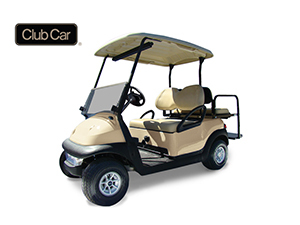 We offer clean Club Car golf carts for; 1 day, 2 days, 3 day, 4 days, 5 day, or weekly 7 day rentals. We have the newest golf cart fleet in the area. 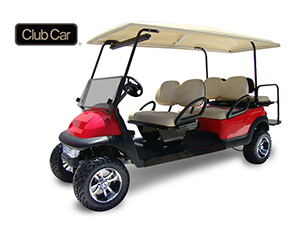 Call us today at (843) 650-2497 to reserve your Club Car golf cart. Proud to serve the Carolina Coast, helping make great vacations since 1999! Rentals available all year round. Call 843-650-2497 for custom scheduling and pricing. 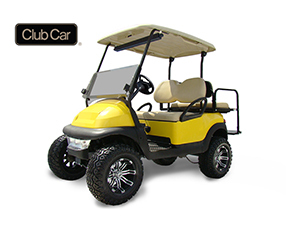 To view our current pricing schedule, click a golf cart rental link below. 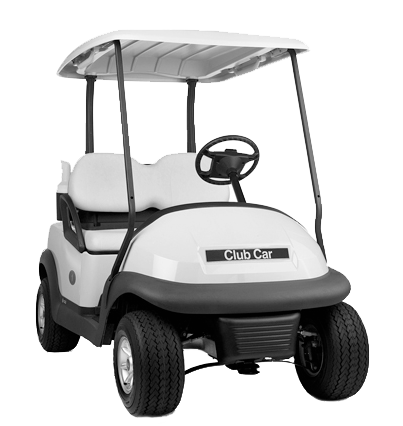 Golf Cart Rentals are available at our showroom location, which is located in Surfside Beach, SC between 3rd and 4th Avenue on Highway 17 Business. Call 843-650-2497 for custom scheduling and pricing! are not allowed to be operated more than 4 miles from your residence or vacation rental. Also be advised that it is unlawful for parents and guardians to allow children that are unlicensed to operate a golf cart. Parents or Guardians may be fined in excess of $200.00 for doing so. There may also be Community regulations as well, so please be sure to check with your vacation rental agent or your HOA/ POA for details on their rules. To view more rules and regulations please visit our FAQ's section here. We have been in Surfside Beach since 1999 and are also proud to be the first company to rent golf carts in Surfside and Garden City Beach. We have two locations: 301 Hwy 17 S. Bus, 999 Hwy 17 S Bus and on the corner of 10th Ave S.
The Best Golf Cars on the Grand Strand! 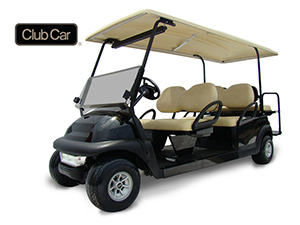 We offer a full line of 4 seat, 6 seat and 8 seat golf cart rentals from Club Car. We offer them in the original standard look they are produced and also offer rentals that are rebuilt to a custom look and feel with lift kits, all-terrain tires, custom seats and paint jobs.